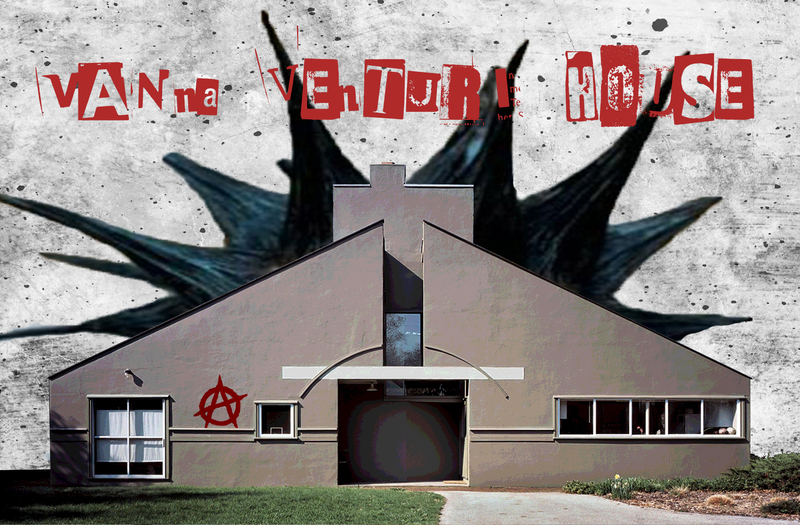 The Vanna Venturi House, one of the first prominent works of the postmodern architecture movement (Photoshop punkification by me). Designed by Robert Venturi. Constructed 1962-64. F*** authority! could have easily been the tagline of postmodernism. 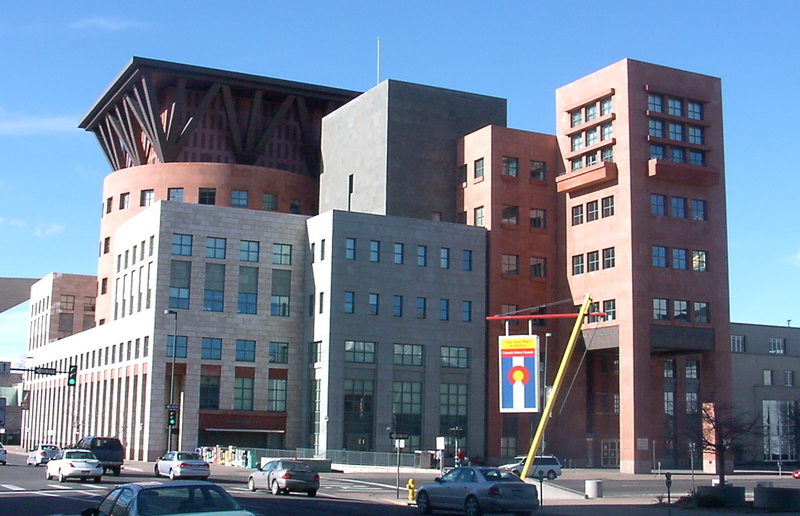 Today, postmodern architecture just seems kooky and weird but it was actually born out of the protests, riots, strikes, and civil unrest of the 1960s. Although the modernist architecture movement had evolved with the clear goal of improving people’s lives, it was in direct conflict with the spirit of the 60s. Modernist architects aimed to find the perfect building that could serve any person, any function, and in any location (hence the name International Style). The clean, white architecture of modernism was basically intended to be a perfectly engineered blank canvas for life. The people of the 60s, however, viewed modernist architecture as an oppressive, one-size-fits-all solution to the richly varied complexities of life. Just as an angsty teen might start dressing differently to spite his parents, architects like Michael Graves and Robert Venturi took the defining characteristics of modernist architecture (no ornamentation, no symbols, no references to other traditions) and created buildings with the exact opposite characteristics. The postmodernists revived old architectural styles and remixed them. They used bright colors and interesting forms just for the sake of being interesting. Postmodernism rejects the strict rules set by the early modernists and seeks meaning and expression in the use of building techniques, forms, and stylistic references. 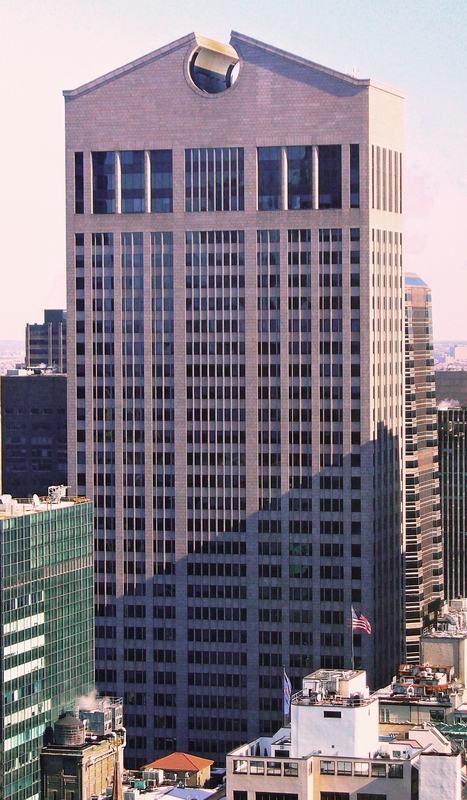 The Sony Building (formerly AT&T building) in New York City, 1984, by Philip Johnson. 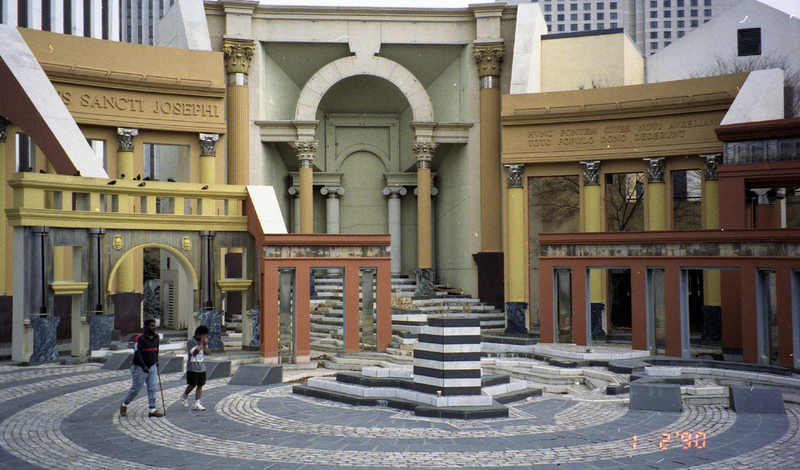 Piazza d’Italia by Charles Moore (with Perez Architects), New Orleans. We’re afraid you’re gonna hurt yourself. Wait, what are you talking about, WE decided!? MY best interest?! How can YOU know what MY best interest is? How can you say what my best interest is? What are you trying to say, I’m crazy? I went to your institutional learning facilities?! So how can you say I’m crazy? Like many punk lyrics, this song expresses the frustration of having to meet externally imposed standards and being different. Like punk, postmodernism allowed people to express a unique identity and way of life with the buildings they inhabit, own, and design.